We welcome you to our today’s magazine and have this time few new names to introduce. 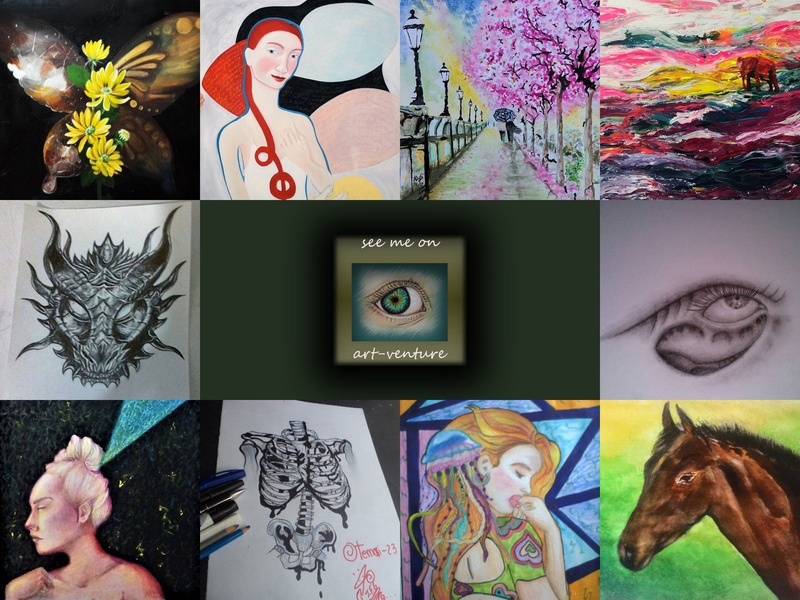 One of the new Artist who recently joined Steemit is Clare Galloway @clareartista with her paintings and Art school. She is creation Art for a long time and with this blog she is explaining what is behind her work and how the process of creation developed. We hope that her decision to join Steemit was worth is and will try to give her a warm welcome. Gini @aalagenesis has presented today her mixed medium painting Acrylic and Oil, beautiful butterfly, the color combination, the pattern all done with paying attention to harmony between them. As a result stunning Artwork. On and off we have tutorials in out blog, this time a painting of a horse by @yashny, again the topic that every artist tried once, thank you for sharing the tips, especially to apply the color layers and many steps. Another animal drawing in acrylic colors is done by @neumannsalva, interesting to see the process of creation, thank you for letting us to have a pick. A beautiful painting of famous Lampposts in London, with a couple nice presented with the steps and sketches by @hananan. We would be grateful if you also give our Artists a bit of your support and attention. Please enjoy the show!